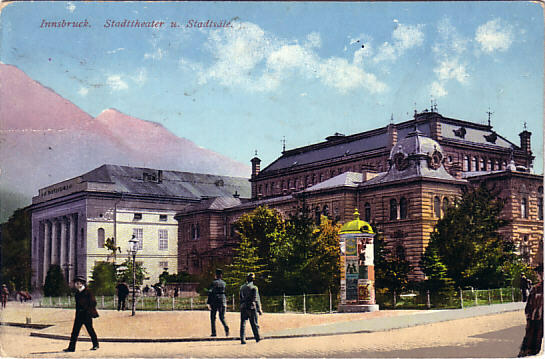 Multi-purpose hall, used for concerts and congresses. The complex also included the communal council chamber. Severly damaged by bombs in World War II. 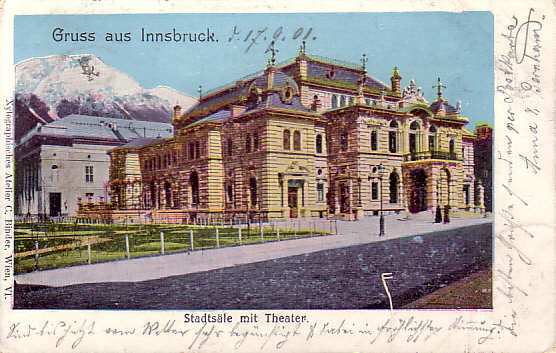 Front Text: "Gruss aus Innsbruck - Stadtsä mit Theater"
Front Text: "Innsbruck - Stadttheater und Stadtsäle"